On World Tiger Day, people turned out in large numbers to take part in the Save Our Tigers signature campaign - online and on location, in four cities of New Delhi, Mumbai, Kolkata, Chennai. The focus of the campaign was to draw attention to the six-point tiger agenda and to garner as many signatures as possible. 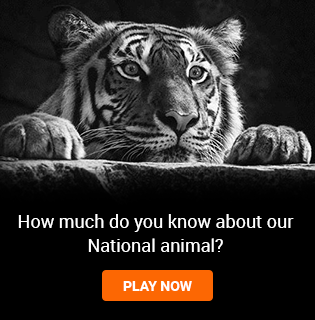 So far, Save Our Tigers signature drive has crossed 5 lakh signature mark. The Tiger Agenda with all the signatures will be taken to the state governments to be implemented and help save our National animal. Kiran Bedi voices her roar for the Aircel NDTV Save Our Tigers campaign.